Please find link here to HSE jobs for x 9 Grade VI Health Promotion and Improvement Officers (HP&IO), Health Promotion and Improvement. Please ensure you download the Job Specification, NRS04813. Additional Campaign Information as well the Application Form. All of these documents can be accessed through the link above. Are you a change maker in your community? Are you looking for an opportunity to develop your skills and knowledge? Do you want to join Ireland’s network of active citizens and create long lasting change within your community? Apply today to represent your county as an Irish SDG Advocate. The SDG Advocate programme will offer 26 active citizens an opportunity to represent their county and become the first of Ireland’s SDG Advocates through this innovative project. This training course will allow the advocates to deepen their understanding of the United Nations (UN) Sustainable Development Goals, represent the project internationally and lead transformative change in each respective county. AHPI supports the call for the implementation of the Public Health (Alcohol) Bill in full. Alcohol harm in Ireland claims 3 lives every day and is responsible for a huge burden of ill health. More information on the campaign can be found at www.alcoholireland.ie/campaigns/bill and on Facebook @Handsoffourhealth and Twitter #Handsoffourhealth. Here are some of our members who work in the HSE, the Irish Cancer Society, The National Youth Health Programme and Athlone IT who are showing their support. 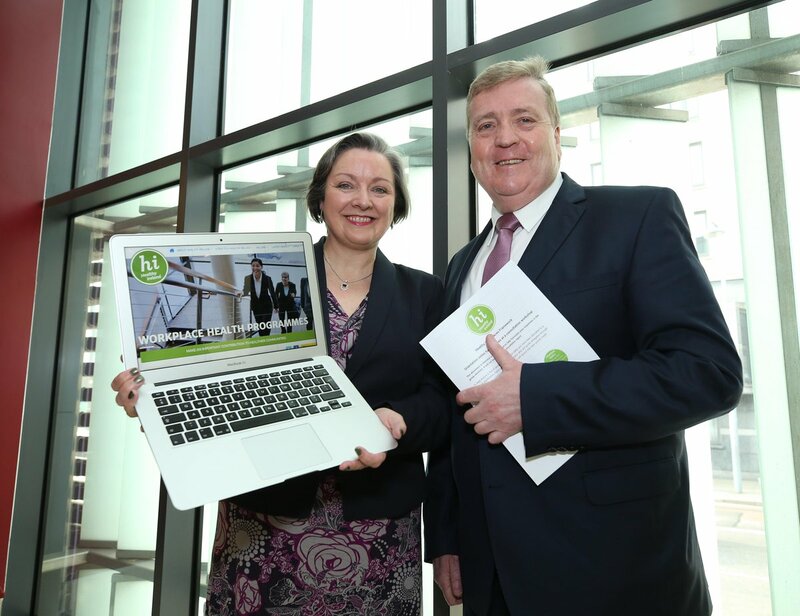 Minister for Health Promotion, Marcella Corcoran Kennedy, TD, and Minister for Employment and Small Business, Pat Breen, TD, have launched a public consultation on a new Healthy Workplace Framework. The link to the consultation is https://www.surveymonkey.com/r/HealthyWorkplaceFramework– and will be open until the 19th May 2017. The aim of the consultation is to gather the views of stakeholders on priority issues to be addressed in the framework which is intended to provide flexible guidance that can be adapted to any workplace setting to help create and sustain healthy workplaces throughout Ireland. In addition to the online survey, workshops are scheduled for Limerick on 10th May and Sligo on the 17th May. To register https://www.surveymonkey.com/r/VV25FYS. Minister Corcoran Kennedy said “we know work is good for our health and the workplace offers the perfect opportunity to promote health to a large audience. With almost two million people in employment in Ireland, this message can reach over half the population”. The Minister went on to say that, “Working in partnership with the Department of Jobs, Enterprise and Innovation reflects the core principles and ethos of Healthy Ireland, which is about government and wider society taking steps towards making Ireland a healthier and prosperous nation”. Minister Breen acknowledged that “significant progress has been made in recent years in relation to safety in the workplace through legislation and enforcement, which is evident with the reduction in workplace accidents. However, the two main causes of workplace ill-health now are musculoskeletal disorders and stress, which present new challenges”. Minister Breen went on to say “we have a particular challenge with the large number of small businesses in Ireland and the new framework will need to address this by reflecting on best practice in other countries and incorporating positive health messages within Health and Safety”. The Minister acknowledged the commitment of his Department in supporting the development of the Healthy Workplace Framework, stating that, “a healthy workforce benefits all of society and contributes to economic growth as well as improved health outcomes”. 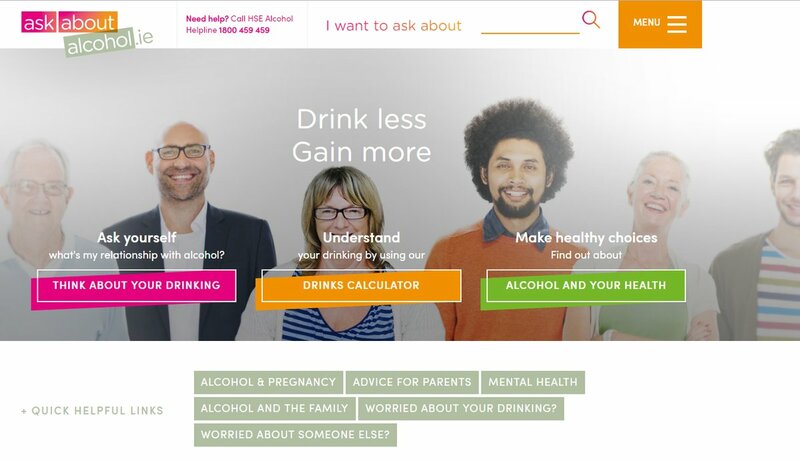 The HSE has launched a new website for the public on alcohol – about how much we’re drinking, how it affects us healthwise, and how we can gain more by drinking less. Speaking at the launch this morning, Dr Stephanie O’Keeffe, HSE National Director for Health & Wellbeing said, “This is the first HSE website that provides dedicated information about alcohol risk and offers support and guidance to anyone who wants to cut back on their drinking. www.askaboutalcohol.ie has been created to provide authoritative information source on alcohol risk to enable everyone to manage their own health better. It is also designed to work in tandem with public health legislation and planned regulatory changes on alcohol labelling, availability and pricing. The HSE’s Ask About Alcohol communications campaign will feature supporting promotional materials, social media content, radio advertisements and a digital marketing campaign to take place across the coming months.